In Thoroughbred racing, no one knows for sure how to pick a champion. But after decades in the business, Terry Finley (OPM 45, 2014) is probably a better guesser than most. 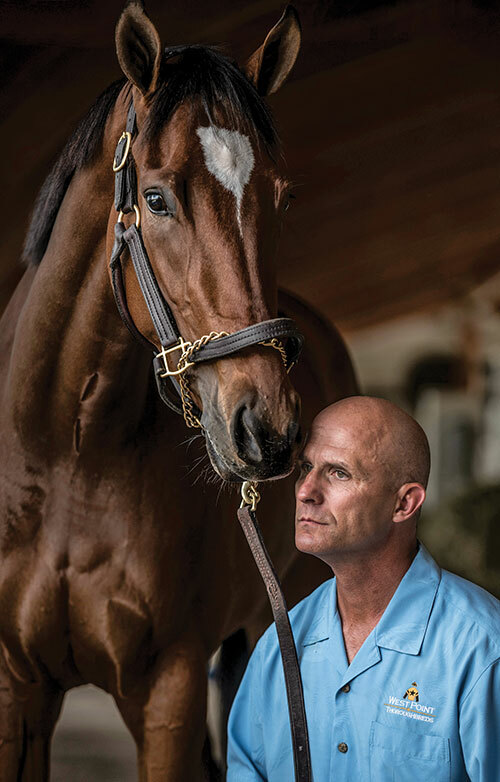 As president and CEO of West Point Thoroughbreds in Saratoga Springs, New York, Finley finds promising colts and fillies at the yearling sales and creates “racing partnerships” for interested investors who want a piece of the action at a fraction of the cost.